This cadaver-based dissection course instructs surgical trainees and junior surgeons in the techniques of exposure commonly used in open surgical operations. It will be held in the modern anatomy laboratories at the Smithfield campus, under the supervision of experienced surgeons. This is not primarily an anatomy teaching course; therefore a high degree of anatomical knowledge will be required for successful completion and candidates will be expected to perform procedures. A manual will be available to all registrants for pre-reading. The curriculum will focus on open surgery. 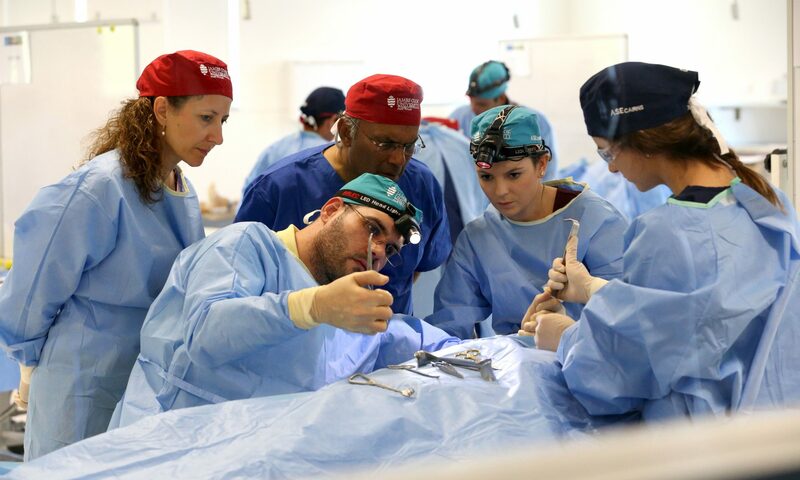 Candidates will be assisted with dissections and assessed on technical ability (knot tying, suture ligation, dissection and anastomosis), anatomical knowledge, and teamwork. The assessments will inform an individual de-briefing exercise at the end of the course. A certificate of completion will be issued at the conclusion of the course. The course is open to a maximum of 20 participants. There will be two candidates allocated to each station. The course fee of $3,500 includes a course manual and access to online videos, a set of scrubs, cap and a course dinner.